Welcome to the Tokyo Humanities Project! This site aims to promote the study of the humanities in the Tokyo-Yokohama area (home to over 30 million people and to hundreds of universities, libraries, and museums). In addition, our café sessions, blogs, and "Quick Questions" series provide new ways to connect researchers and artists within Japan and present their ideas to the world. Founded in late 2016, this project is directed by a group of researchers at Tokyo universities. ​We cover humanities-related events - in English and Japanese - including literature, history, philosophy, music, poetry readings, drama, museum exhibitions, and art installations. 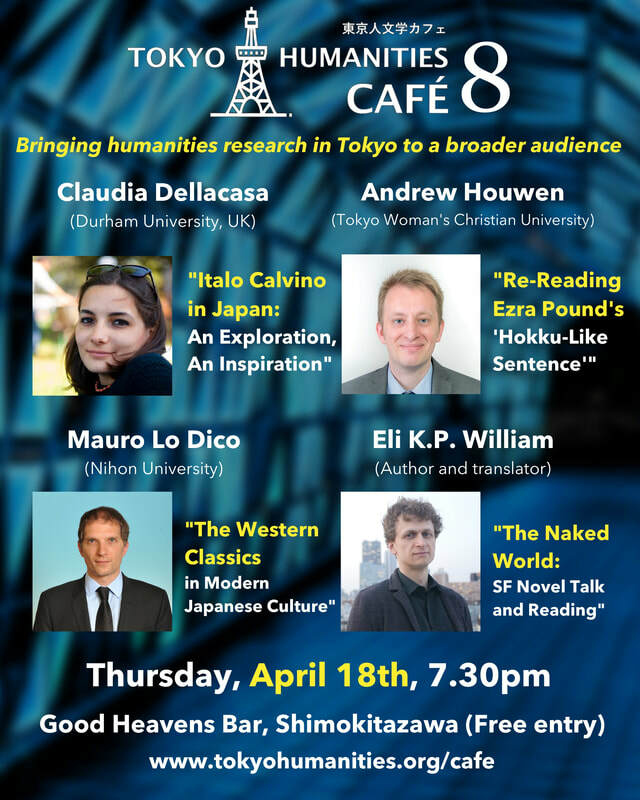 Tokyo Humanities Cafe 8 confirmed for 18 April, 2019!